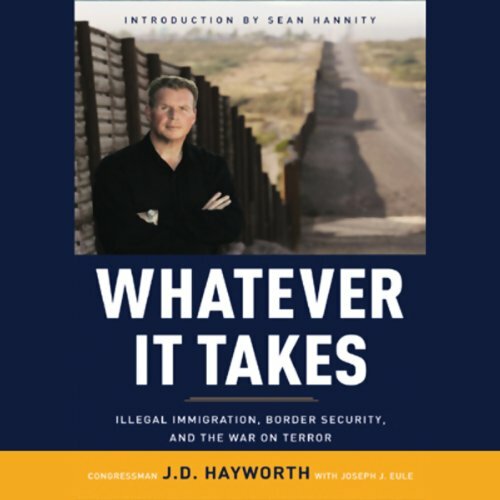 Showing results by author "Joseph J. Eule"
What should we do to solve America's border crisis? Whatever it takes! That's the no-nonsense approach of Arizona congressman J. D. Hayworth, one of America's most outspoken and eloquent conservative spokesmen. J. D. has walked the border and seen firsthand the devastation that illegal immigration inflicts on law-abiding Americans. He's read the intelligence reports, talked to the Border Patrol and the Marines, and knows how intolerable illegal immigration is in a post-9/11 world.